本書は『未来をつくる起業家』の英語版になります。 日本国内以外では、Amazon.com（Kindle）、Apple iBookstore、Google Play Storeでご購入いただけます。 The Quiet Comeback features in-depth interviews with the visionary founders behind 20 of Japan’s most successful startups. This diverse cast of entrepreneurs is challenging the status quo of corporate Japan, setting the stage for the resurgence of the country’s once great tech industry. These wide-ranging stories from the font lines of Tokyo’s venture scene offer an inside view of how successful startups are built within Japan’s unique culture and business environment. Peppered with practical tips and market insights, the conversations offer a broad snapshot of the Tokyo tech world. In their own words, founders share the struggles and strategies that went into their companies. How do you find funding —or investment targets— in Tokyo? How do Japanese tech founders differ from their Silicon Valley counterparts? What does it take to build a service that can thrive in both the Japanese and global marketplace? Where is the Japanese internet lagging behind or leaping ahead of the rest of the world? 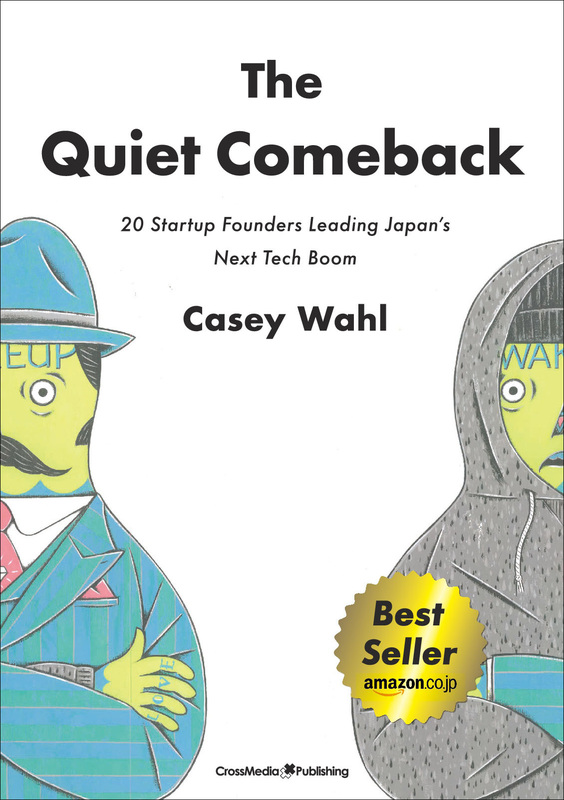 For those interested in creating a startup connected to Japan, or anyone curious about the multi-layered questions of Japanese business psychology, this book is the closest you can come to sitting in the same room with the brightest minds in the Tokyo tech scene today.